Well, apparently the Grantwood Village People have decided that they can't have their cake, but they are going to eat better despite themselves. 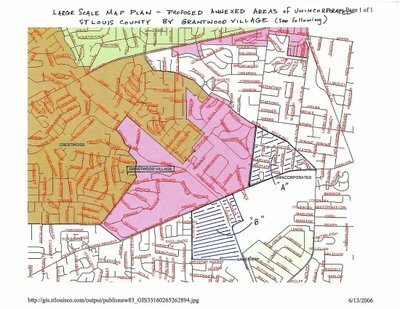 Back around the end of June, at the height of opposition to the proposed development, Grantwood Village proposed their own annexation plan with the Boundary Commission and (what a surprize) they want to aquire the future site of the Villages at Grant's View next to Cor Jesu Academy. 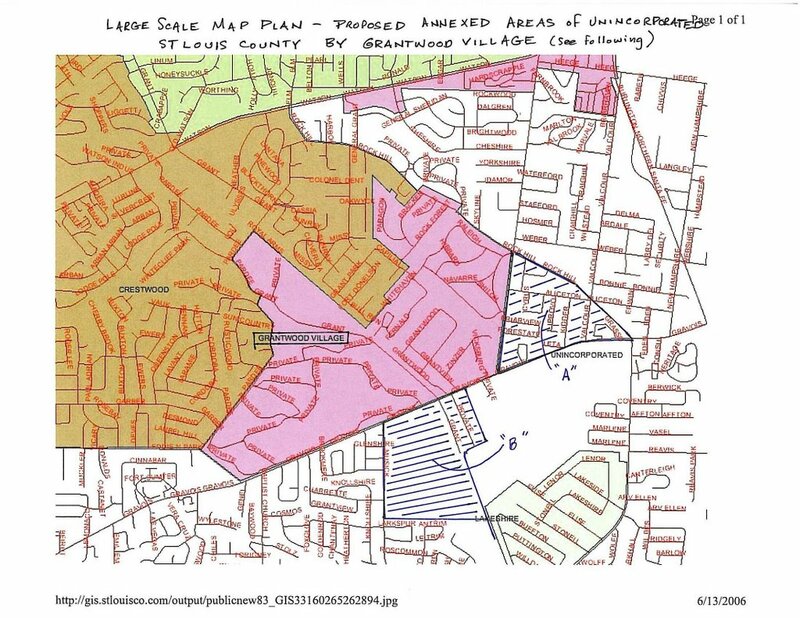 And their annexation stops at Musick, proving that Grantwood Village thinks the future residents of the controversial development are more desirable than those "Sappington-Concord hoosiers" west of Musick in older homes. And believe me, I say "hoosiers" sarcastically, cuz then I'd qualify, having grown up in that area off Lavinia. I think it has more to do with the fact that the land is undeveloped and annexation would hopefully allow some semblance of control. The Angry Villagers cannot annex more than a certain percentage of their own land mass as set by the rules in the Boundary Commission. I think that's why they are not going west of Musick. To me it just makes more sense for Affton to incorporate. Extending Grantwood Village outside their current bounds makes little sense if you look at the lane use and type of housing they have. I understand their desire for control, but I supported the housing development they opposed. It seems the Villagers have their ducks in a row now with an actual number of units and density desired. It seemed that they were using a shotgun approach in the past several months as opposed to the laser beam.